This small and light tripod is easy to carry, but is it good for regular, everyday use? The small size and light weight make the tripod easy to travel with, and the high Build Quality and Design make for a great tripod. An inability to easily pivot the camera and a bit of give in the legs for heavier cameras could limit the tripod's appeal. If you are in the market for a quality tripod, the MPT-600 should be at the top of your shopping list. The Value proposition on the MPT-600 is very high for almost all camera owners. If one of the Functionality issues is important, especially the inability to easily pivot the camera, or you have a particularly heavy camera, then this tripod might not be for you. However, for most camera owners, the MPT-600 is a great option. The majority of the Design points are a win for this tripod. The decision to design nearly the entire tripod out of metal rather than plastic makes it a great tripod, especially for its price. The adjustable feet, makes it easy to use either on a solid surface with the rubber base or on carpet with the extendable cleats. Our favorite design choice was the single removable leg and removable head, allowing the tripod to be converted into a monopod. There are some elements that are not wins, though. The biggest issue that we have had using the tripod in the wild is that there is no easy way to just pivot the camera because of the ball joint. The joijt makes it realy convenient to set the angle of the camera and leave it alone, but if you are in a scenario where you need to adjust the position mid-usage, it is far from convenient. Since the whole head is removable, it would have been great if the head itself could pivot on its threading easier, adding this capability. In addition, as mentioned in Build Quality, the center of the tripod was designed such that the legs can squeeze into the center pole and the foam padding on the legs gets damaged. This was evident almost as soon as we received the tripod, as one of the legs was already indented from shipping. The last thing that is missing completely is a centering pin on the removable shoe. Most tripods that we have used over the years, including $30 cheap tripods, have had the centering pin on the shoe. This ensures that the camera is facing forward on the tripod. With the ball joint head, however, the lack of a centering pion is not entirely unexpected. The MPT-600 is small, lightweight and can handle a surprisingly heavy camera for its weight. The only aspect of the tripod that makes it less convenient is the size of the carrying case. If it were a bit more tapered, to match the shape of the tripod itself, it would be a perfect 5. The MPT-600 is a very stable tripod at all of its moving points. The ball joint on the head is definitely the strongest of the moving parts. When the lock is turned, the joint does not move even a little. The extensions on the legs are equally sturdy; in our testing, no amount of pressure caused the legs to retract. The only joints that have a little give are at the point where the legs meet the base. If the camera on the tripod is on the heavy side, the legs can shift a little, especially on a slick surface. There are very few important moving parts of the MPT-600 to get used to. The only aspect of the tripod that is not immediately evident and will likely require reading the instructions is the monopod transition. Finding the leg that is removable is easy, as it is labeled directly on the product. Finding exactly where the head removes from the top of the tripod is less obvious. In fact, I had to read the instructions to find the exact point of disconnect. Once I had it, though, removing it was easy, as was connecting it to the monopod. Almost every smart Design decision made on the tripod led to an equally smart material decision. Almost the entire tripod is made out of metal, rather than plastic, making for a sturdier product. The metal is also of a high quality, unlike some of the less expensive tripod on the market, which feel like they are made out of soda cans. Most importantly, the hinges are all held tight, with enough give to ensure they can be moved when needed. The joints do not feel as if they will loosen over time. Unfortunately, not all aspects are as perfect. Two areas in particular leave a lot to be desired. The main place where plastic is being used is on the leg-extension clips. This is a place where other tripods we have used have broken, meaning it should not be a place where the least sturdy material should have been used. The second problem area is the foam used on the legs. During normal usage, all three of the legs have received indents in the foam, both from items the tripod has been packed near, and from the center pole of the tripod itself. Having used this tripod in various environments, it functions well in almost every scenario we have tried. We first used it for our main camera during our Collision 2017 coverage, and it worked great on the floor in the convention center, where the camera was stationary for 3 days. We have also used it as the primary tripod in the studio for the past few months with great success. The only place where we have had any issue with using the tripod for a project has been during our Anime Iwai 2017 trip, where we used it for the 3000 Brigade show. As detailed in Design, the inability to pivot the head of the tripod caused problems at the end of the show, where we were attempting to follow the action on the stage, without success. 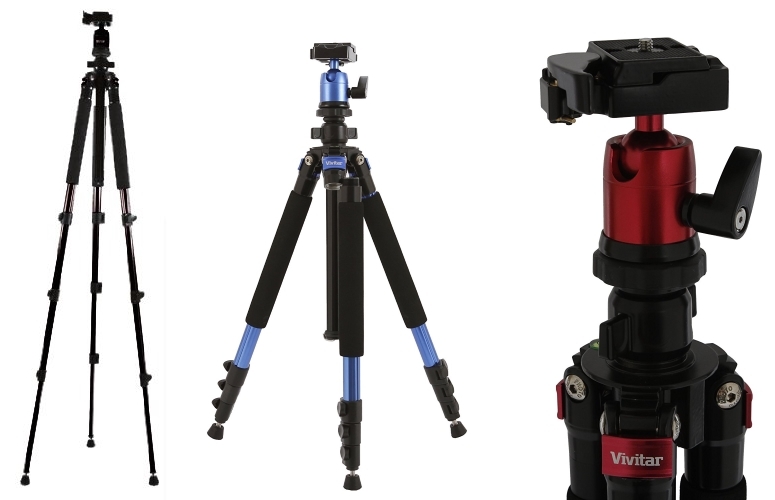 Of the myriad of tripods we have used in the studio and on the road, the MPT-600 is the lightest we have had. Even compared to plastic tripods, this one is surprisingly light weight. The tripod also collapses into a very small package, making it easy to carry. Luckily, the light weight and small size doesn't detract from the Build Quality at all. The only part of the package that is larger than you might expect is the carrying bag. Because it is made of a firm material, versus a more common thin fabric, the case takes up more room when packing than other tripods we have used. Because cameras use a standard mounting thread, tripods, in general, have a high Compatibility. The only thing that can really limit which devices will work is their weight resistance. The leg hinges on the MPT-600 are fairly sturdy, accepting even our largest camera without trouble. However, when the large camera is on the tripod, and the tripod is on a slick surface, like tile, the legs can give just a little bit. A larger camera, or a heavy lens, might give some trouble, but for the majority of camera owners, this tripod will likely work with your camera. Fortunately, there is very little setup required. The MPT-600 comes completely assembled in its carrying bag within the retail packaging. The only assembly that you might have is as part of the transition from tripod to monopod, which has a bit of a Learning Curve.